Trail reviews, tips and tricks from the trails, and any other information that is related to the trails we have (or want to) run. I have always heard about this mythical place called Sand Lake, but never really wanted to go there. Maybe it’s the name. A lake of sand doesn’t necessarily sound appealing. 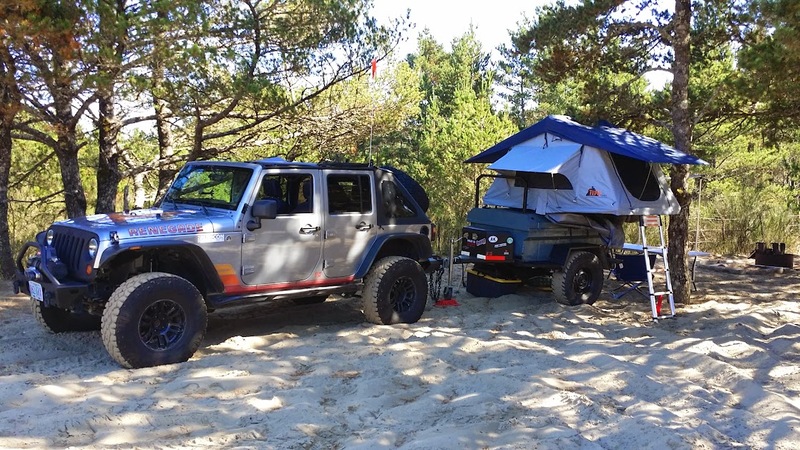 But when I had an invite from a couple of Jeep friends to camp for the weekend, I took the chance. Sand Lake is a recreation area just South of Tillamook on the Oregon Coast. Getting there is a cinch and it is nice to pass Brown’s Camp should the desire for another type of wheeling strike you on your way home. I headed toward “Derrick Road” where I would eventually meet my friends and set up camp. The road ends at the camp area, a small sandy (surprise!) enclave of trees with primitive campsites, fire rings, and pit toilets. The end of the camp area is basically the entrance to the recreation area. My campsite at Sand Lake. Once my friends arrived, we aired down and headed out to explore this expansive play area. On our way to the Rubicon trail this past August, I was looking for a camping spot where we could break up the drive a bit, and also enjoy some camping. 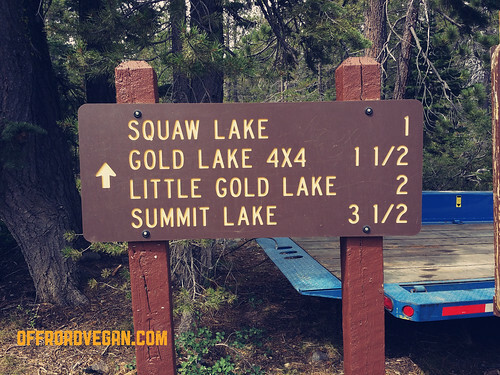 After a bit of Googling, I found out about the Gold Lake OHV trail in Plumas National Forest, in California. I plotted the coordinates into my GPS, and our small group of rag tag Jeepers soon departed from Oregon. The trail was easy to find, after a long climb into the mountains. After following the signs, we met the trail head. We all decided to air down (even though it is a short trail) however the number of people that were passing us combined with the fact the campground can fill up quickly led us to abandon the air down and get to the campground. Golden Spike trail is part of the trifecta of trails in Moab which consists of Gold Bar Rim, Golden Spike, and most of Poison Spider. On our recent mantrip to Moab, Andy and I actually ran all three of these trails (alone) and (almost)without incident. There were many cases where we took the easier option as we had no other rigs with us. The trail officially “begins” on the Poison Spider side, but we ran it in reverse from Gold Bar Rim. The area is very well signed. I am actually glad we traversed it in this order, as some of the descents we made off ledges seemed pretty difficult if we were climbing them. The “point of no return factor, however was a bit daunting. 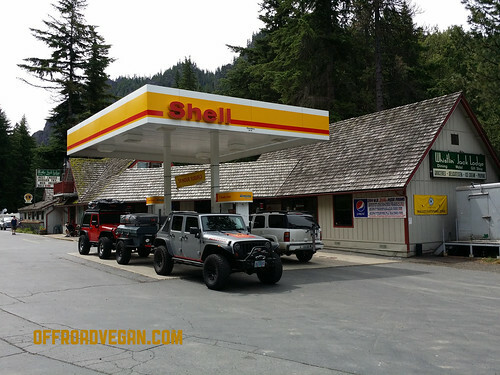 Last Saturday, our small convoy of Jeeps left a Starbucks in Vancouver, for the 4 hour drive to Manastash. Leaving at 7:00AM, we made great time on the way North. We decided to fill up on last minute supplies and top off the tanks at Whistlin’ Jack’s in Cliffdell. Stop for fuel and firewood. We took the second right after Kaner Flats campground (off FS 19), airing down just off the road before Kaner Flats trailhead (trail 676). The following images are a collection from that trail. Kane Creek Canyon is a trail that was highly recommended to us by a neighbor when staying at Canyonlands Campground in Moab. 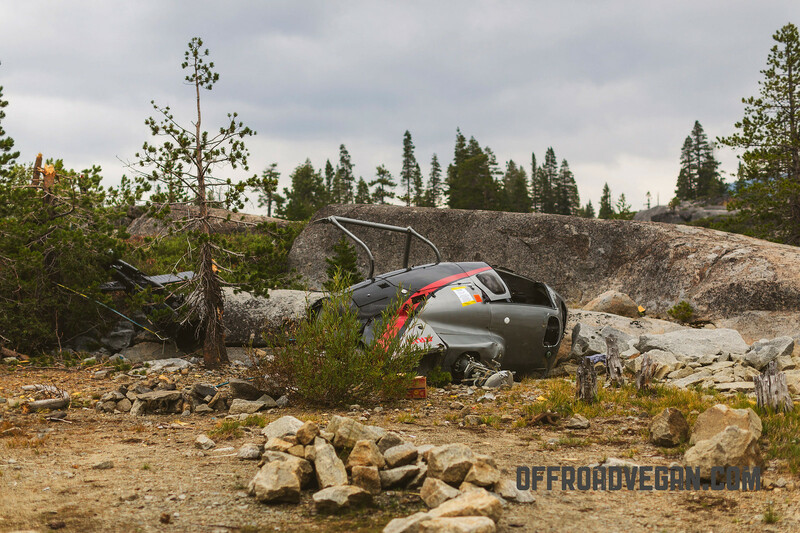 “The only hard part is the climb out of the canyon, and that isn’t too bad” were the only words of hesitation. So with reckless abandon, I hit the trail with friends Andy, Matt and Joe. The trail follows Kane Creek Canyon road out of Moab, heading West. 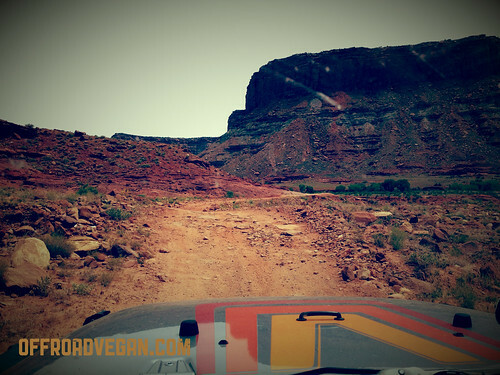 The road quickly turns to dirt and descends through a really nice canyon. The road was pretty dusty, so Matt in his JK had to drop back a bit. Kane Creek starts out a little on the boring side. At least the scenery is amazing. Eventually the trail appeared on the Left, across from the Kane Creek/Chicken Corners pull off.